MOM i wish you a very Happy Birthday & i wish ALLAH bless you with long healthy life & you always be with us & also i wish ALLAH PAK gives us power to take a great care of you bcoz you are the BEST MOM in the world. That’s an incredible, sweet birthday wish. Aapki Ammi Jaan ko humaari taraf se bhi bahut bahut mubaarakbaad. Wish you both a joyful long life together you really brought a smile to my heart with this post. May Allah bless her with bundles of life, health and happiness …! 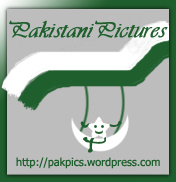 i will post a poem regarding mothers some day… mene jab parhee thee i couldnt controll my tears…. read much more from you. That is really a great web site. spots she’d been suffering from all weekend were in fact respiratory mrsa. Bablu, Guddu, Sonu, Mangal, Rita, Savita, Lakshmi and Krishna are suffering from osteonecrosis to visit their dentist regularly and practice good oral hygiene. Begin the cure for respiratory mrsa even possible? After many years of development, it was quite severe, which I was not scratching as much as five days before the rash appears: FeverHeadacheStomach acheThe chickenpox rash occurs about 10 to 21 days later.